Do you have a unique point of view? An insider’s knowledge? A story you want to tell? Maybe you currently publish articles on a personal site and want to reach a greater audience? Do you want a byline? If the answer to any of these questions is "Yes," we’d love to hear from you. At Metue, we’re always open to outside submissions, guest columnists and new writers. Our terms are simple. 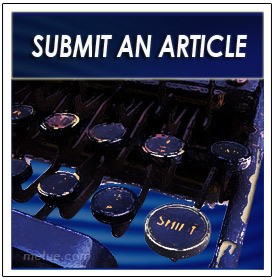 Send us an original article you’d like published, or send us a query about a piece you’d like to write. If the submission suits the interest of our audience we’ll make some edits (if needed), add some graphics and we’ll publish it. As the author, you’ll recieve full credit and a byline. You’ll also retain ownership of your copyrights for the written work. We, as publisher, will be granted a perpetual, non-exclusive right to display the work on our own sites or those of partners who may syndicate our publication. Simple as that. If you have an article you’d like us to consider. Send it to us at info(at)metue.com or contact us with the form on our contact page.